Considered the rainiest region in Bolivia, Cobija (which means “blanket”) is located north of La Paz in the Amazon Basin on the border of Brazil. It is the capital of the youngest department in Bolivia, Pando. 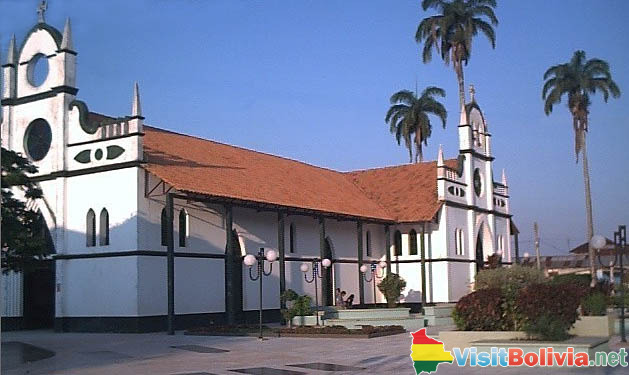 It was founded in 1906 under the original name of Bahia (“Bay”). A small, beautiful city with abundant natural resources, Cobija can also be characterized as a tropical zone with average temperatures of 90F degrees. The primary sources of livelihood are agriculture (almonds and nuts), timber and cattle. Ethnic groups such as Toromonas, Pachauaras and Machicangas also live in the forests of Pando. Because it sits on a curve of the Acre River, a trip to Cobija affords visitors opportunities to enjoy the natural attractions as well as several areas for fishing, relaxation and adventure tourism. San Vicente Acre River. Aside from being a center for rubber production, the place boasts of an incredible animal cemetery where tourists can see hundreds of petrified fossils. Tahuananu Lagoons. An excellent spot for fishing expeditions. Las Piedras (The Stones). Architecture from the Inca Yupanqui government period can be seen in this region. The Alto Woodland. Locals recommend this place for hunting and adventure tourism. Getting to Cobija is easier by air, as there are many flights from La Paz and Santa Cruz. There are no major roads connecting the city with the rest of the country but there are buses that do go to Cobija from La Paz and Riberalta, with trips lasting from 18 to 29 hours.